Ep.3: "I Am Goliath Strong"
Ep.3 Immunity challenge: "Tangled Up in Blue" - The puzzle takes seconds, Davids finally win. 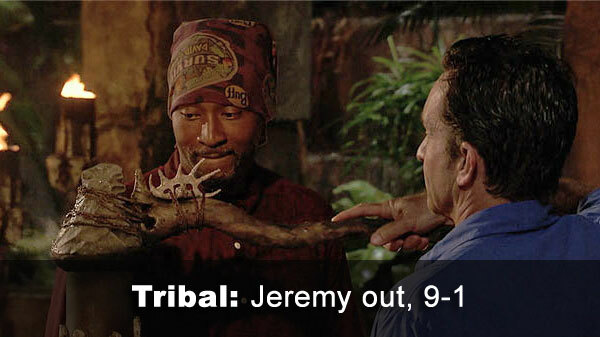 Ep.3 voted out: Jeremy, 9-1 over Natalie. Notes: Two sit-outs, but neither really made a difference scoring-wise, since their tribe lost. - Jeremy received 9 votes, from Alec, Alison, Angelina, Dan, John, Kara, Mike, Natalia, and Natalie (voted out, 9-1). - Natalie received 1 vote, from Jeremy.